The news that the Bundeswehr is tentatively considering recruiting non-German European Union citizens has naturally triggered concerns about both the state of the German military and the skilled labor market, both of which are apparently proving hard to fill. As if to head off the former worry, the source of the story, Bundeswehr Inspector General Eberhard Zorn was careful to note that they were mainly talking about “doctors and IT specialists,” rather than active troops. But as Zorn — the highest ranking soldier in the German armed forces — knows, this is hardly a new idea. For one thing, Defense Minister Ursula von der Leyen already floated the notion of widening the net for new soldiers in a “white book” on the future of the Bundeswehr in early 2017. 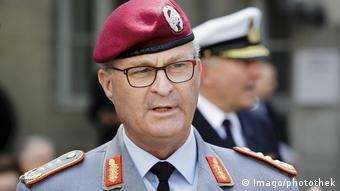 Several smaller EU countries recruit soldiers from around the continent. 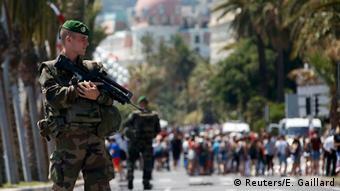 EU citizens aged between 18 and 34 have been allowed to join Belgium’s armed forces since 2004. The Danish military allows foreign recruits, as long as they are already living in Denmark and can speak Danish, and Luxembourg also allows EU citizens to join, as long as they have been living in the country for three years and aged between 18 and 24. Ireland allows any citizen of the European Economic Area (the EU plus Iceland, Liechtenstein, and Norway) to join its military, while other foreign nationals can also apply as long as they have been living in Ireland for three years. Britain has traditionally sourced military recruits from the former colonies of its empire, which in the first half of the 20th century morphed into an international organization of 53 nations known as the Commonwealth, now a bloc of some 2.3 billion people that includes Australia, India, Canada, Kenya, and Fiji. Facing similar troop shortages to Germany, the British military is now also relaxing its rules on allowing foreign nationals to enter. The Ministry of Defense announced in November that it would no longer require Commonwealth citizens to have lived in the UK for five years before joining up. But no other citizens are considered: EU nationals need not apply. The French Foreign Legion remains unique as the oldest foreign-only military branch still active. Founded in 1831, foreign nationals are still commanded by French officers, and can apply for French citizenship after three years’ service. Spain has allowed foreigners into its military since 2002, when it began recruiting citizens from ex-colonies (a measure that some branded as imperialist). But the new recruitment drive excluded Moroccans, even though its northern part was once a Spanish colony. Many non-citizen Spanish soldiers have become naturalized Spaniards in that period. Initially, the quota of foreign personnel was limited to 2 percent, though that was later raised to 9 percent. Russia loosened its own rules on foreign nationals joining the military in 2010, a move seen as a way to tempt ethnic Russians living in former Soviet Union countries to return. Russia has also made the army a fast-tracked route to citizenship: non-Russians who speak Russian can sign five-year contracts to join the military, with the option of applying for citizenship after three years. The US allows permanent residents and Green Card holders to join the military (though not become commissioned officers), a path that is also seen as a fast-track to US citizenship. In 2002, President George W. Bush signed an order allowing citizenship procedures to be accelerated for non-US soldiers in the military. Now, around 8,000 non-citizens join the US military every year, with the two biggest countries of origin being Mexico and the Philippines. The US military also has regulations allowing citizens of small Pacific nations like Micronesia and Palau to join up.